CIPA member and author Carron Barrella had her first book signing a few weeks ago and shared the experience with us. 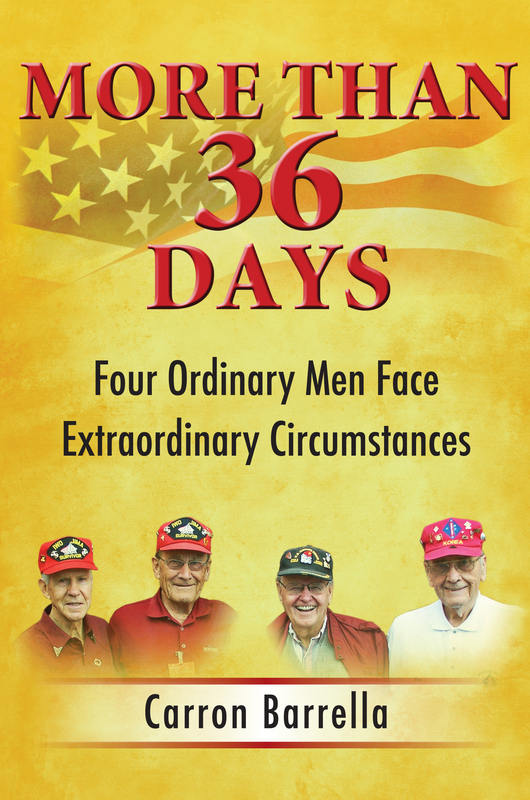 Carron’s book, “More Than 36 Days” follows 4 men who served as United States Marines during World War II in the battle for Iwo Jima island. “More Than 36 Days” is not a typical war book as it focuses on the men, their backgrounds and how their war experiences defined them into the men they grew to become. The book signing was held on Saturday July 16th at the American Legion in Denver at I25/Yale from 1-6. 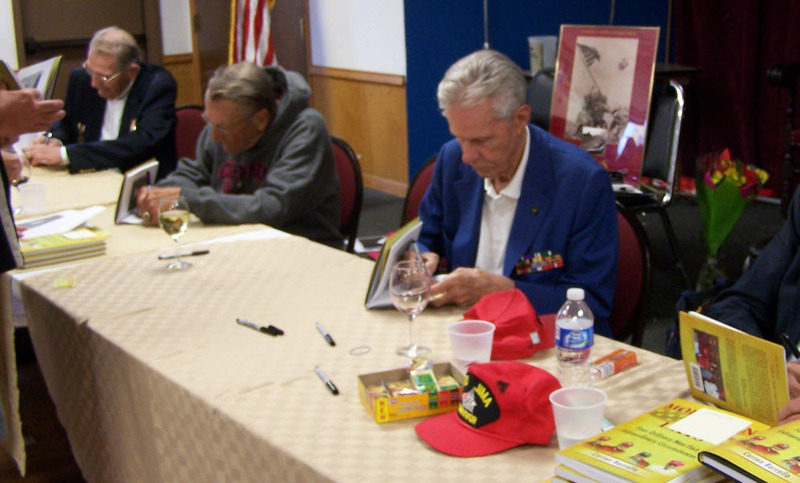 All 4 veterans from the book – Don Whipple, Joe Weinmeier, Max Brown and Jim Blane – attended the signing with Carron to sign books along with the author. How did the four feel about the huge turnout for the signing? “The veterans were overwhelmed by the crowd that greeted them and continued to grow at the book signing. They felt appreciated and honored. Don said he felt he needed to greet each person personally since they waited in line so graciously and patiently to meet him. They don’t consider themselves heros, they just felt they were doing the job that needed to be done and did it to the best of their ability. How many books did you sell that day? 250 books were sold last Saturday. Wow! Where can readers buy the book? It is currently available in hardcover, paperback and e-book from Amazon and Smashwords The book is also listed in the CIPA catalog and the website is www.morethan36days.com.